Please check out the Github repository to get always the latest version. 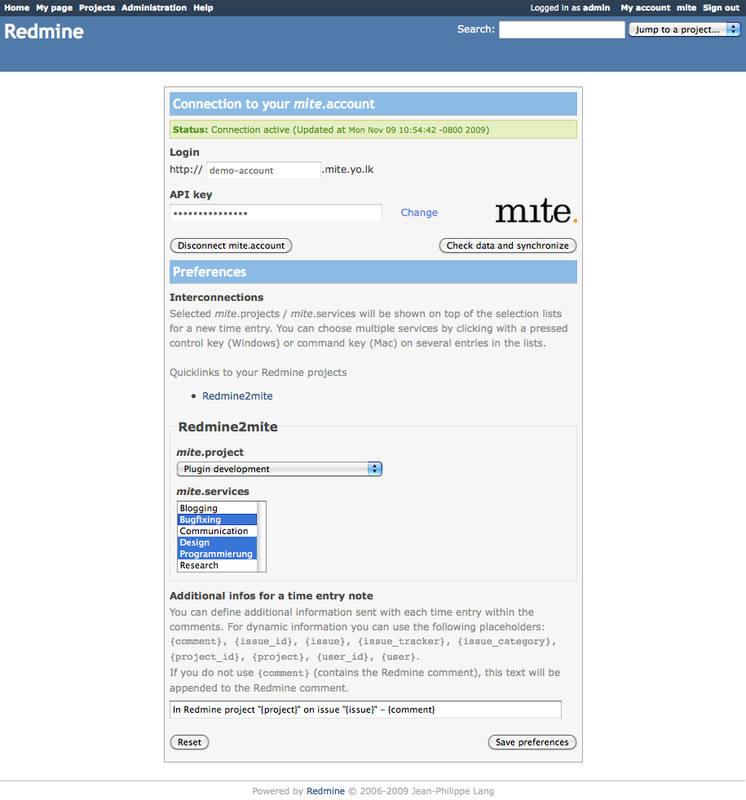 Redmine2mite connects your Redmine account with your mite.account. Track your time easily on issues within Redmine and get them automatically send to mite. mite is a sleek time tracking tool for teams and freelancers. Projects from Redmine can be bundled with mite.projects. Furthermore, you can specify which mite.services should be available in Redmine on a per-project basis. Login to Redmine. You should now see on the top right corner the link "mite". Click on it. After providing your account data you can now interconnect your mite.projects and mite.services with a specific Redmine project. The selected values will appear on top of the list, if you create a new time entry in the respective project. Once the connection to your mite.account was verified, sending your time entries to mite is very easy. The two fields mite.project and mite.service have been added to the time logging mask. 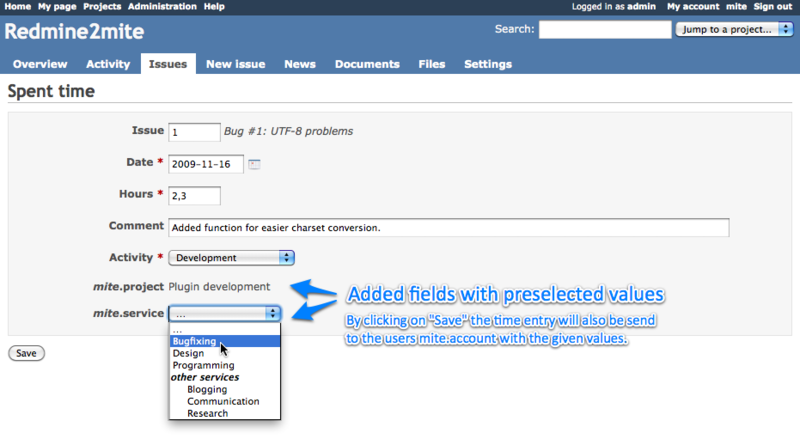 When creating or updating a time entry the plugin sends those values to your mite.account. Well, currently there is no easy way doing this. remove the directory redmine2mite out of the /vendor/plugins directory. Redmine2mite is licensed under the terms of the MIT License, see the included MIT-LICENSE file.